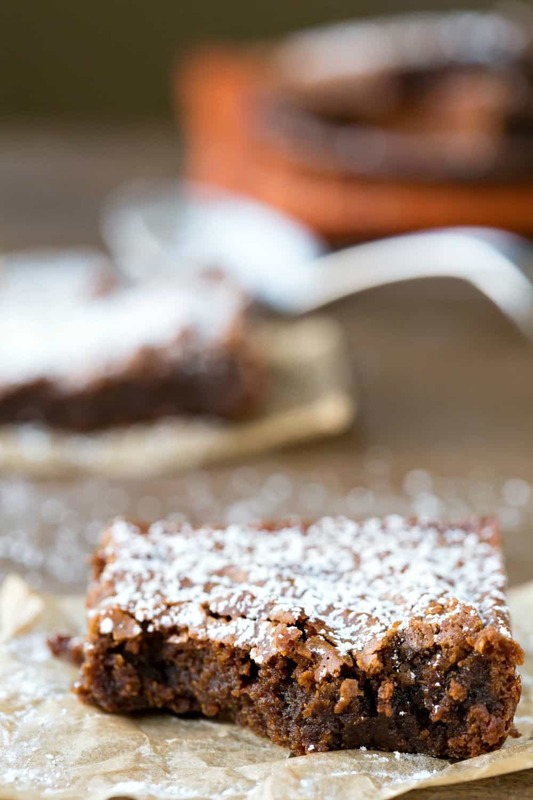 Gingerbread Brownie recipe is brownies meet gingerbread in this super chewy bar that’s perfect for cookie exchanges and Christmas dessert! This time of year, I’m up for gingerbread everything. 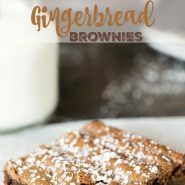 One of my favorite ways to update gingerbread is to add in a bit of chocolate – like with this Gingerbread Brownie recipe. Brownies can be one of the hardest desserts to get right, though. Fudgy brownies can easily end up cakey, and it can be difficult to get that perfect brownie chew, which is why brownie mixes are so popular! 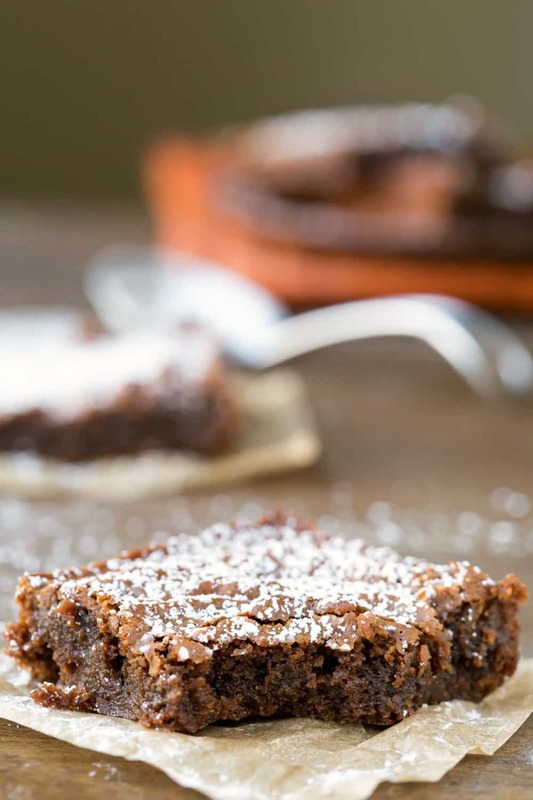 These Gingerbread Brownies have that perfect brownie chewiness at the edges but are soft in the middle. 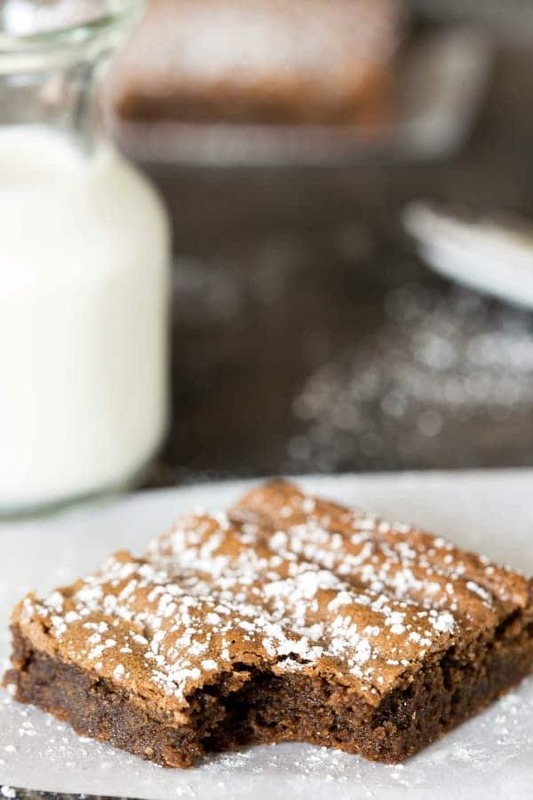 They are a yummy cross between gingerbread and a traditional brownie, and the molasses and warm spices make them a welcome addition on any cookie tray. And speaking of cookie trays, this week I’ll be sharing a new cookie, brownie, or bar recipe each day to offer some ideas for new recipes to add to your holiday rotation. Preheat oven to 350 F. Grease a 9x9-inch baking dish; set aside. In a large saucepan, melt butter and chocoalte together over low heat, stirring frequently. Remove from heat, and whisk in molasses and sugars. Add flour, salt, cinnamon, and ginger; whisk until just incorporated. Bake for 20-30 minutes, or until a wooden toothpick inserted in the center comes out with just a few fudgy crumbs. Let cool in pan, and serve dusted with powdered sugar, if desired. How would you make these gluten free? Or is that not possible? I would try using a measure-for-measure gluten free flour mix in this to make it gluten free. I hope that helps! Absolutely love this recipe the gingerbread brownies taste Divine, they are going down a treat, a great change from a regular brownie!! Thank you! I’m so glad that you liked them! =) Thank you for taking the time to come back and comment! 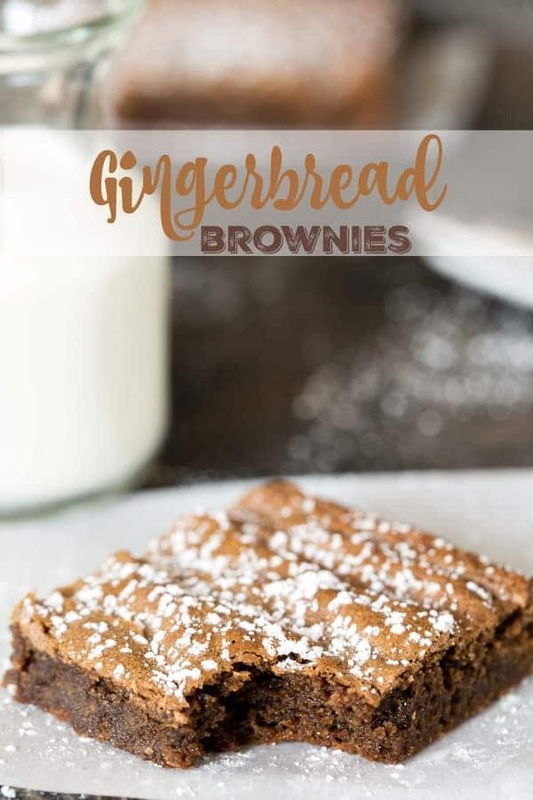 I’ve made gingerbread brownies in the past and always loved them, this recipe was a little bit different… but adding a couple tweaks that I would anyway and this is at least as good, if not better than the base recipe I used before. Thank you. Anybody experiment with a recipe eliminating eggs? I want to share with family for the holiday and have a family member with egg allergy. THANKS! I haven’t, but I hope someone else can offer a suggestion for you! I am planning on shipping these upstate, does anyone know how well these ship? Thanks! I’ve never tried to ship the brownies, but maybe someone else will have some insights for you. These were so delicious, my kids ate the whole pan in one night! 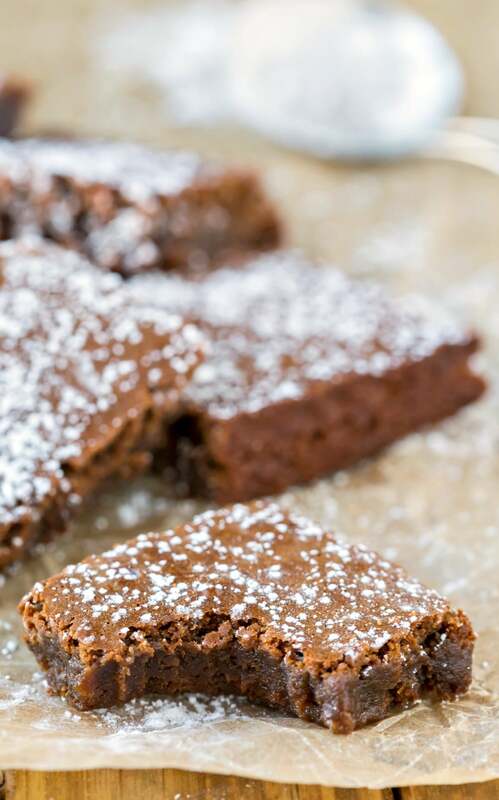 Do you have a recipe for regular brownies with this same awesome chewy texture? I’m so glad they liked them! =) Unfortunately, I don’t have any that are as chewy as these brownies. Can’t wait to try these! Two of my favourite things, chocolate & gingerbread!!! Great flavor combination, and I prefer a brownie over cookies.